Today I'd like to share with you a new online class that I created for the Craft & Hobby Association's Online Workshop offerings. 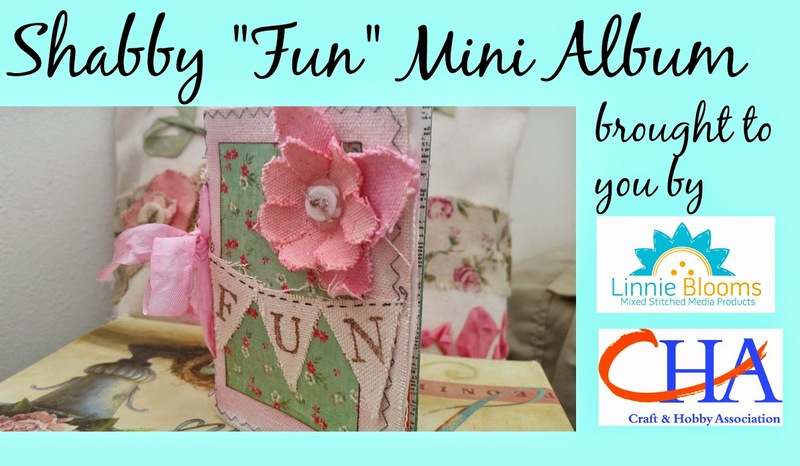 This class uses my stitched Mini File Folder to create a "fun" little journal. I have to warn you though...making these journals is addicting! LOL! In the class, I show you exactly how I create this little beauty, as well as share plenty of tips and tricks while working with canvas products and incorporating them into your scrapbooking, cardmaking and more! It's Here! Time for Someone to WIN!